The Fringe is a chance to hear artists you may not have heard before, often those new to the Bude folk scene. It gives a platform to performers not appearing on our main stage and it's a shop window visible to other festival and club organisers. Acts who have impressed at the Fringe may be asked to play at our following year's ‘Fringe Benefits’ concert. The Fringe runs all day (from 11) on Saturday and Sunday, and from 10 – 1 on Monday morning. New for this year, on Bude Wharf, this year there will also be a place where any artists or bands can play to the passing crowds! At the Busk Stop there will be a timetable with timed ‘slots’ and anyone who wishes to perform can sign themselves up for a slot. 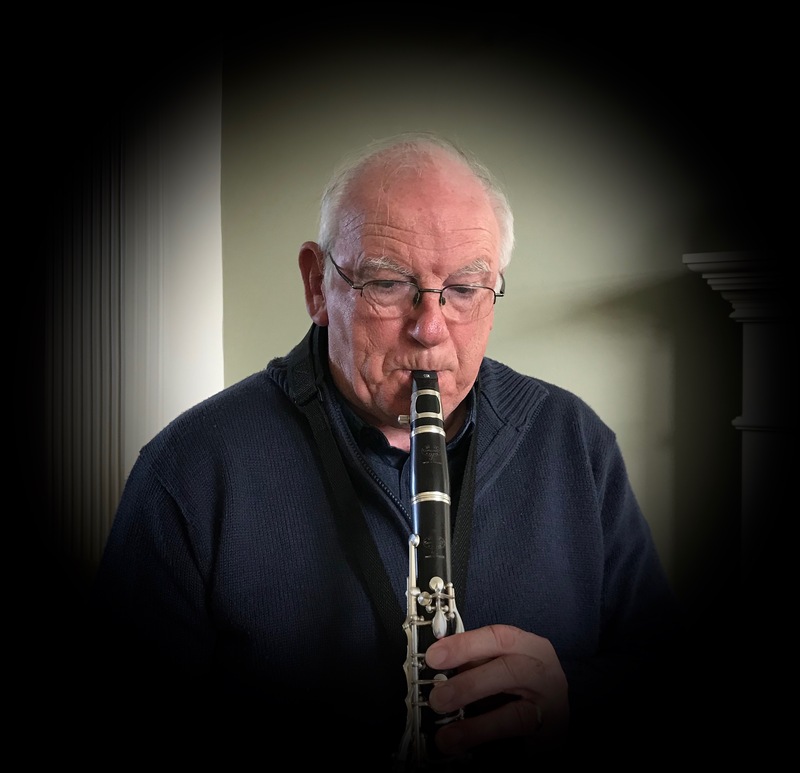 We expect people who perform at the Fringe, and in the Church to sign up for slots – but who know who else we might discover at the Busk Spot, who we may not have heard before. 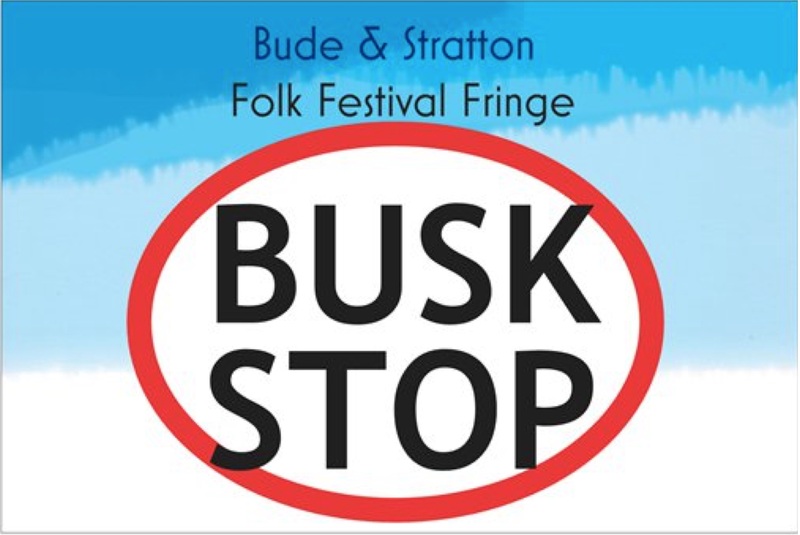 Come along and see who is busking in Bude during our Festival. 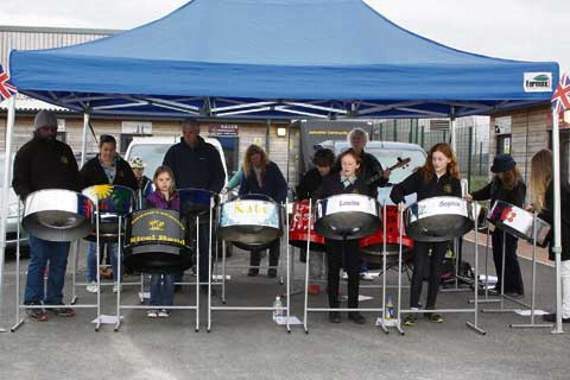 Ashwater Community Steel Band were a great success last year and here they are again! 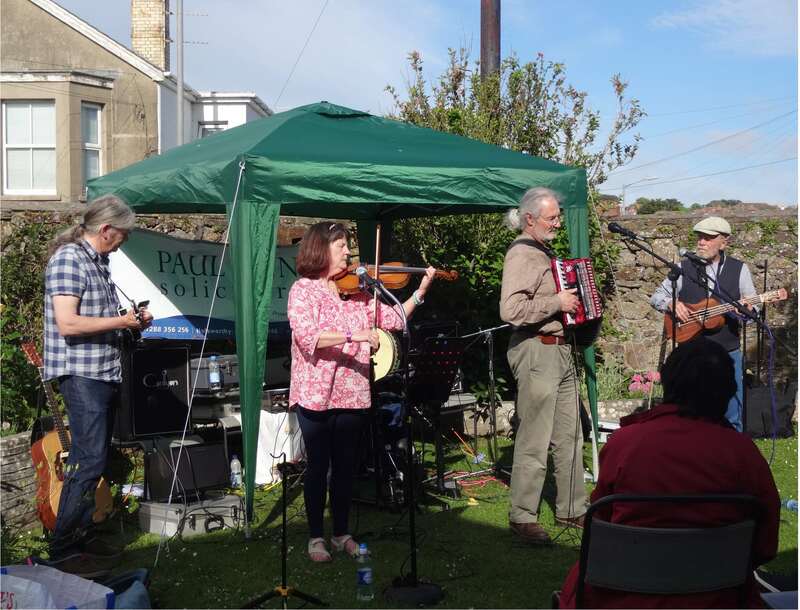 On Monday 28th they will be performing on the Falcon Terrace from 1300-1400 and them offering a workshop from 1400 to 1500 - come and join in! On Friday 25th May Bude schoolchildren will again be joining us with a dance demonstration at Bude Light. 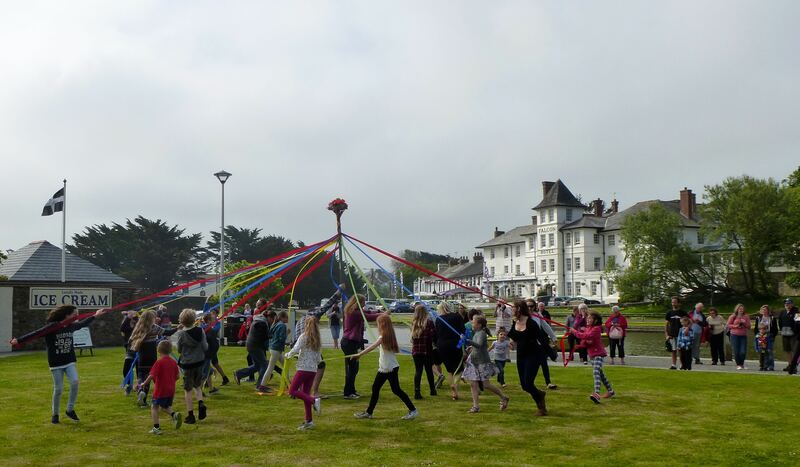 From 1345 to 1600 expect a traditional Bude Furry Dance, Maypole Dancing and other folk dances.